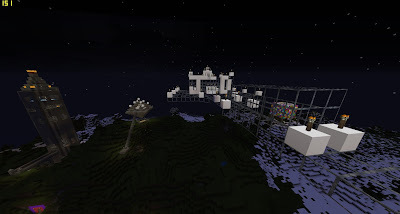 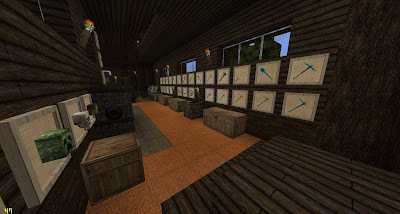 I was looking back on my many Minecraft creations in my main world and realised that there was a few remakes of multiplayer creations that I had missed so I’ll go through these which are now sitting proudly on display in my now museum-like original minecraft map. 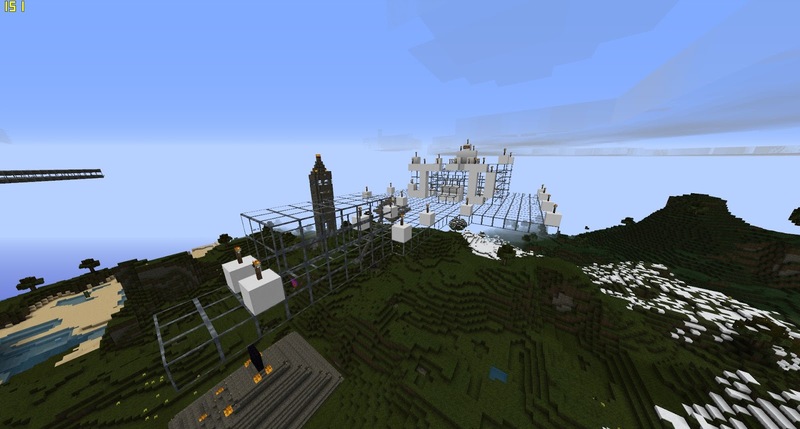 Some of the rebuilds you see here will be built to be exactly the same as the original, others will be different in certain ways due to me being able to build bigger better and faster in creative mode. 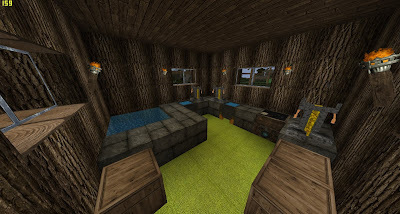 The main difference that you will see is that I will be using different texture pack then the original, the texture pack I used for these screenshots is Cyberghost’s 256x texture pack. 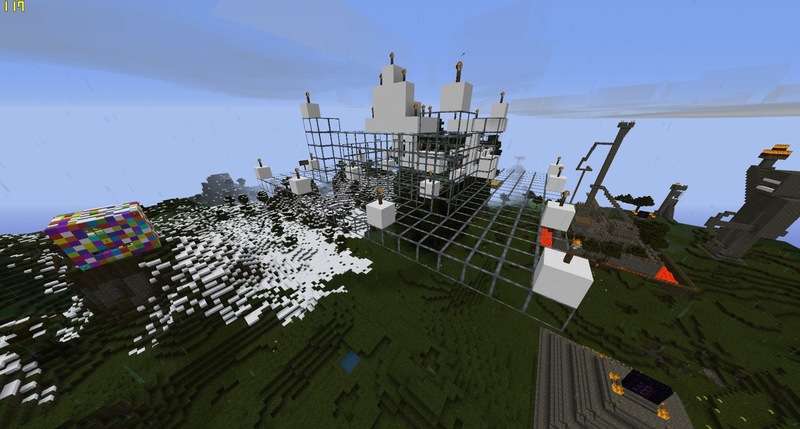 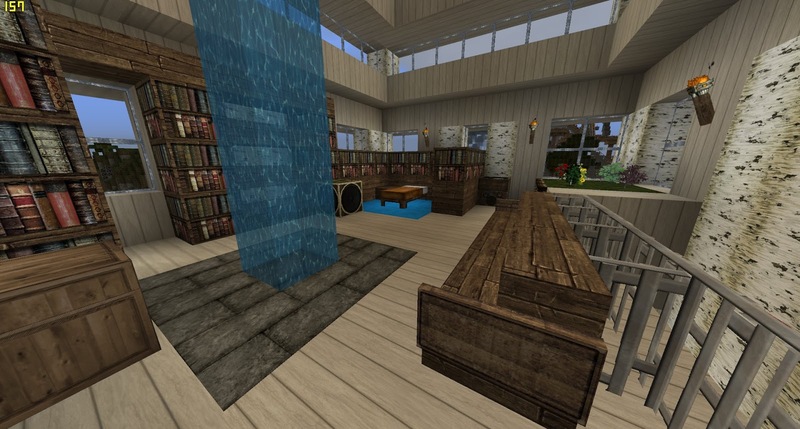 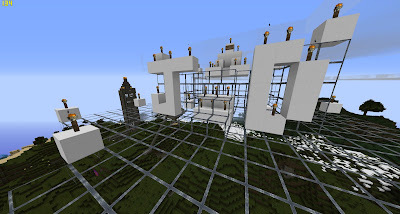 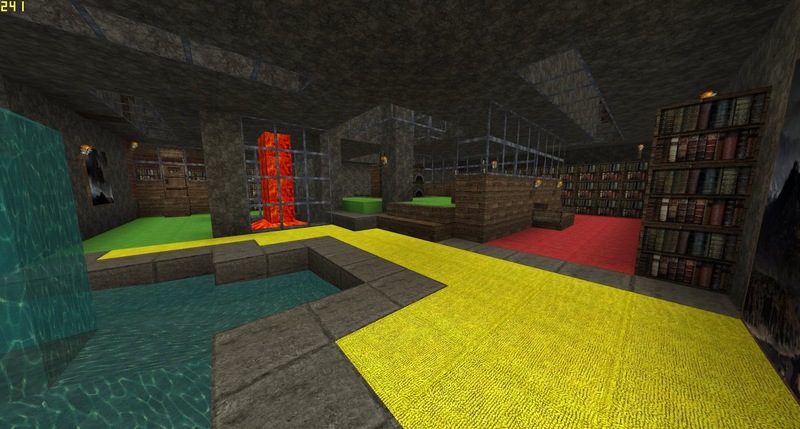 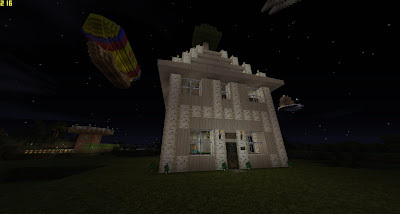 All of the creations below have already been featured in detail in a Minecraft creations post, this post just reviews them and notes any changes I made in the rebuilds. I’ve listed these from latest to earliest as I think it works best, I’ve also linked the titles to the original posts so you can compare the two. 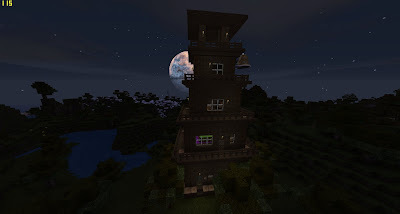 This was a recent creation from the Oceanic-Craft server that I was part of for a while I had the idea for a sort of “tower in the forest” terrace-style woodland style house made with mostly spruce wood as it’s in a Spruce wood forest. The rebuild I did pretty recently and it went fine and pretty much copied the same design except with maybe a few more windows to make it look a bit nicer. 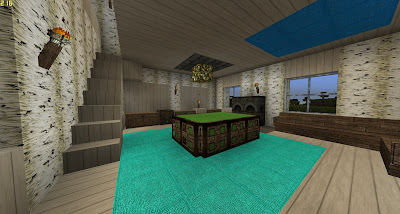 I must admit the 256x realism texture pack makes it look a lot better as the original was done with no texture pack so it looked a bit bland. There unfortunately isn't any Spruce forests in my original world so I had to use an oak forest instead. 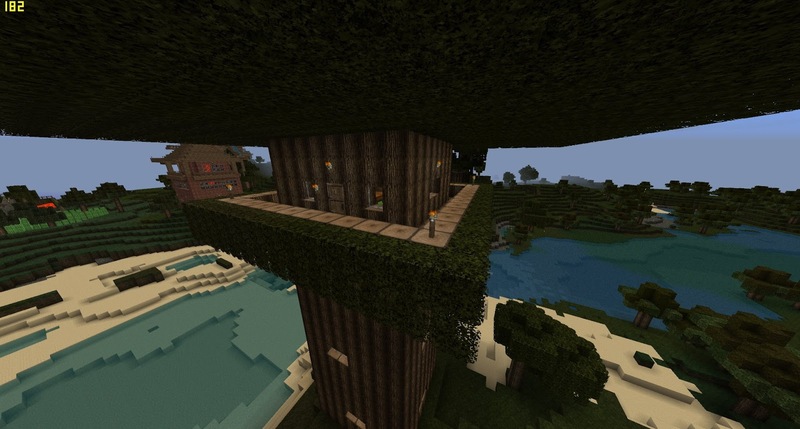 It's a nice spot though near the lake. 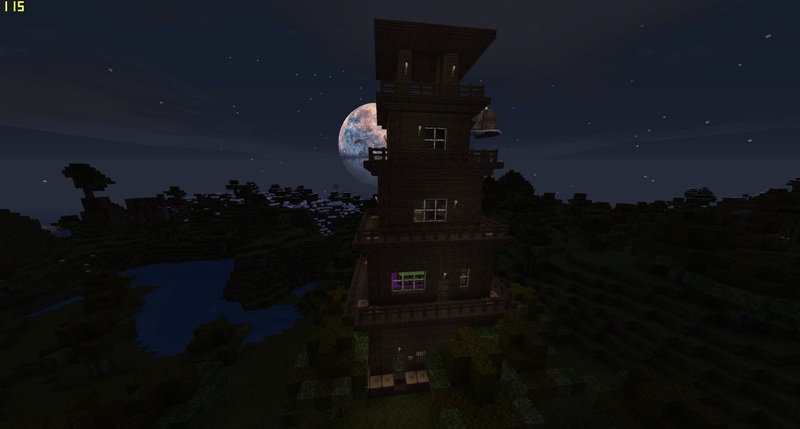 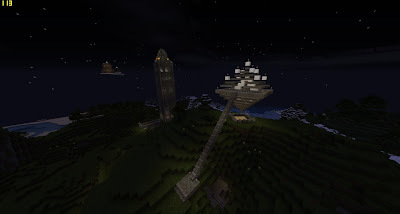 The tower by night, the texture pack makes it look pretty damn dark. 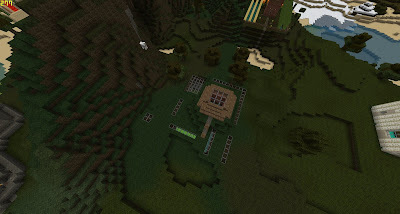 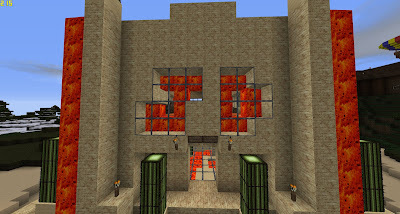 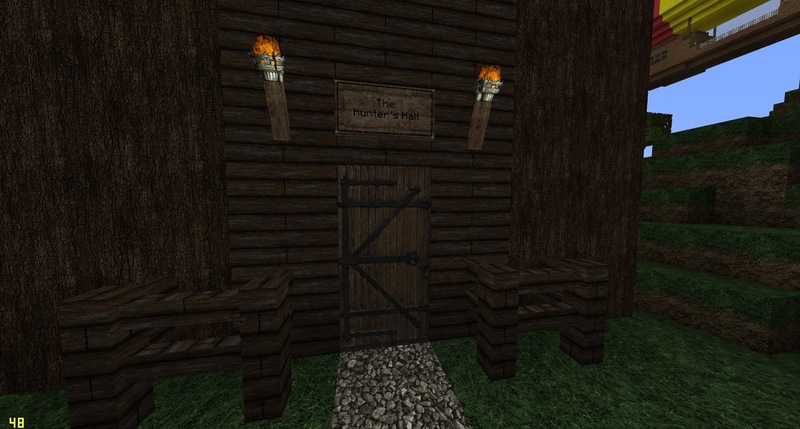 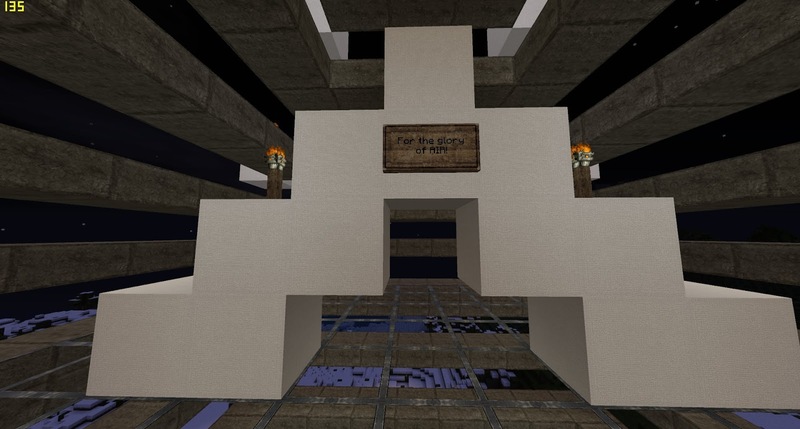 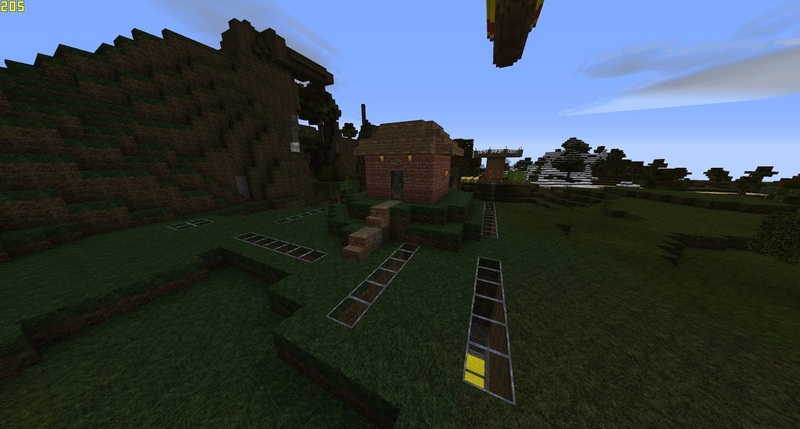 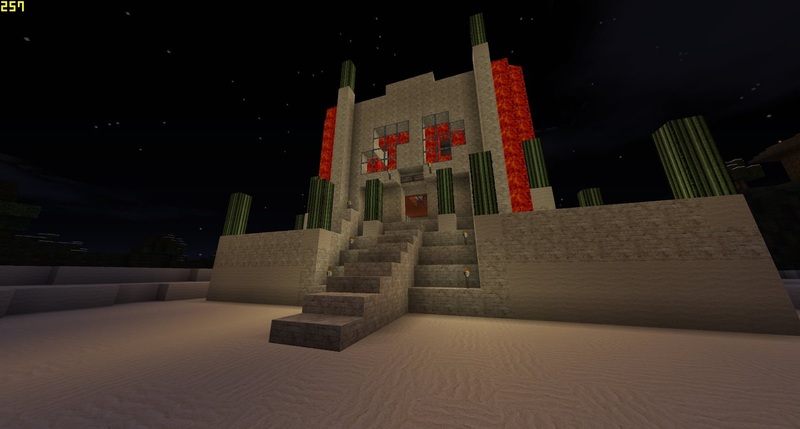 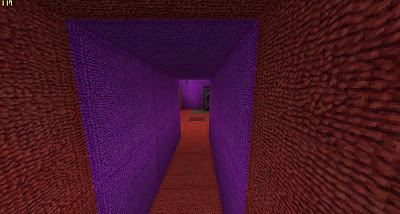 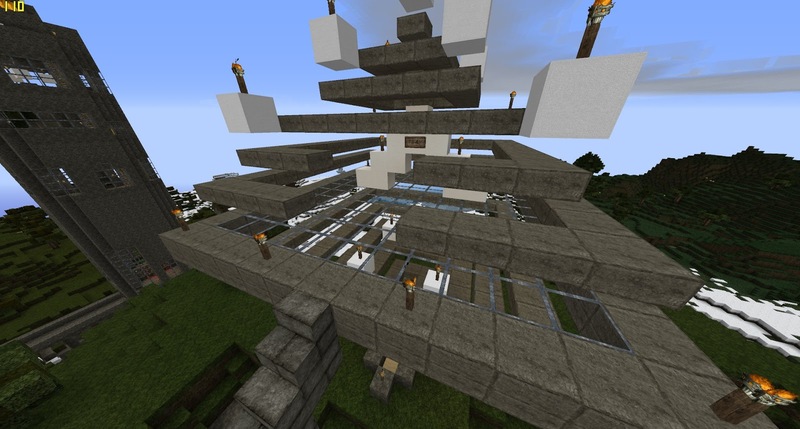 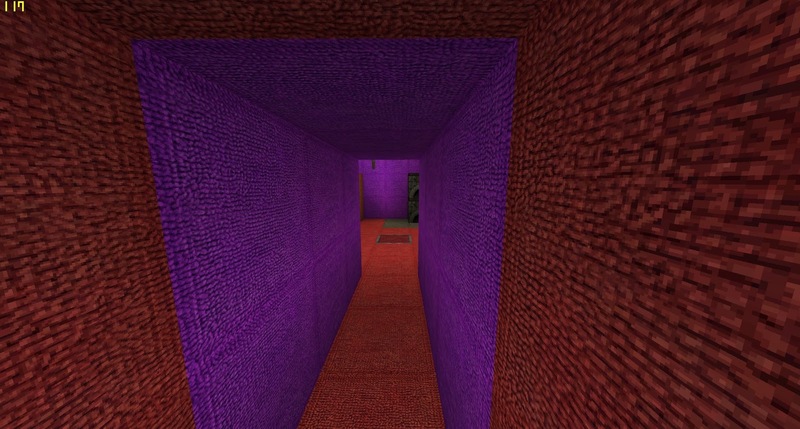 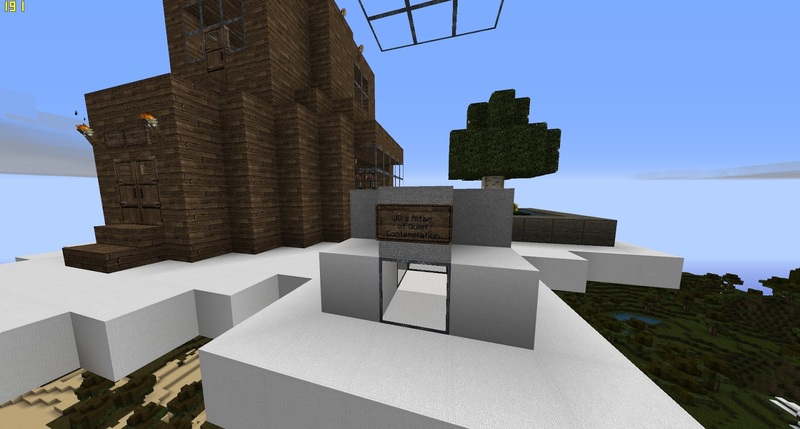 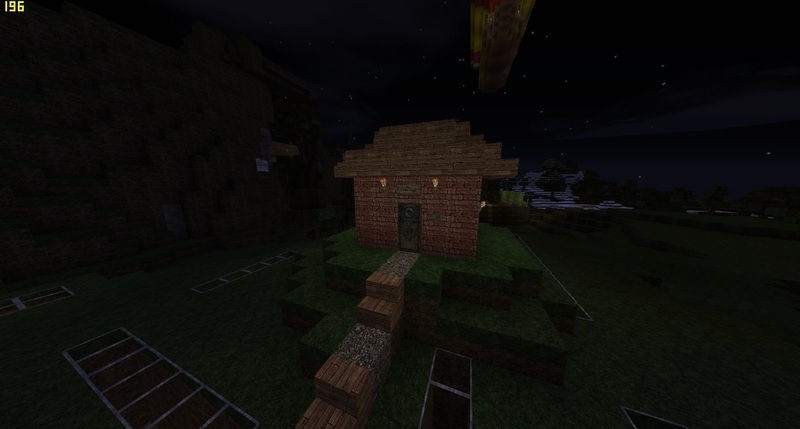 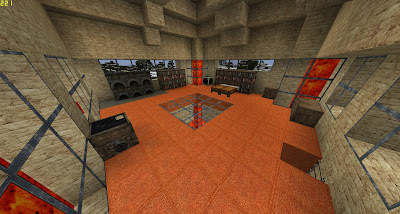 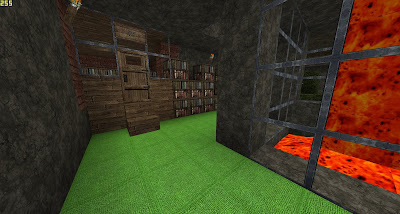 The Hunter’s hall was created as my contribution to my pal Richy D (aka Dickdatson’s) Minecraft singleplayer creative map. 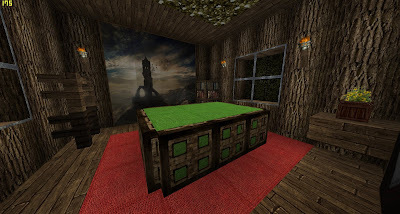 I had no trouble finding a spot and making it again as it was a fairly simple design supposedly just being a rustic hunter themed hall. 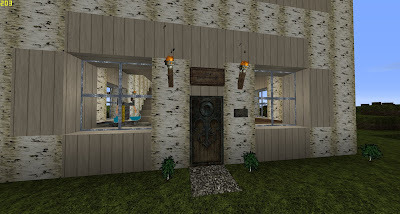 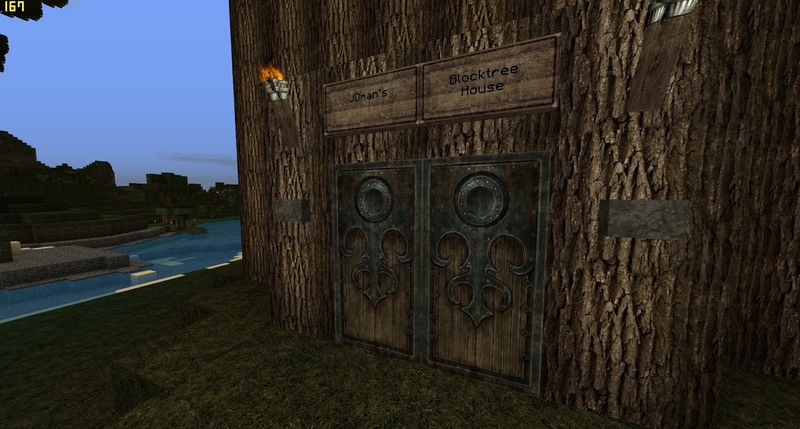 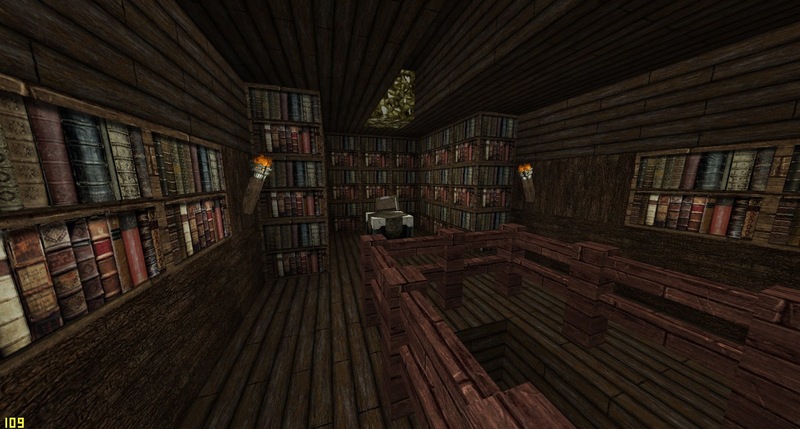 The Birchwood house was built in my friend Lupidoo’s claim in the Ozgamerparty server, basically I just wanted to make an entire house out of birch wood and had to make it in the area that he places, so naturally I made the house as big as the whole area. 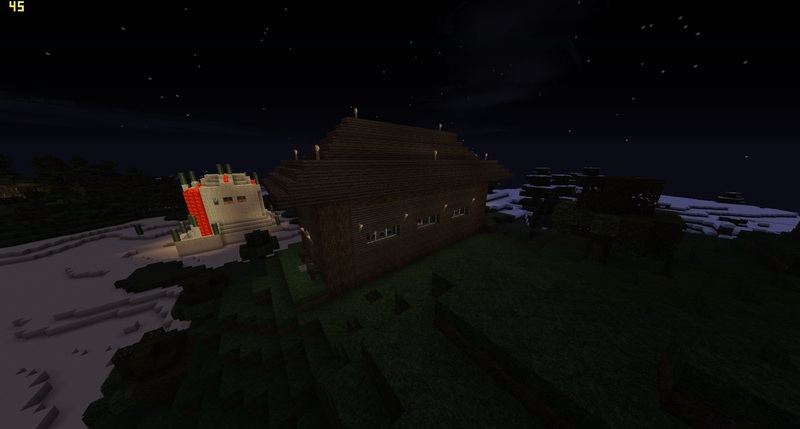 The rebuilt went ok but I think I got the size a bit wrong, it’s hard working with only screenshots. 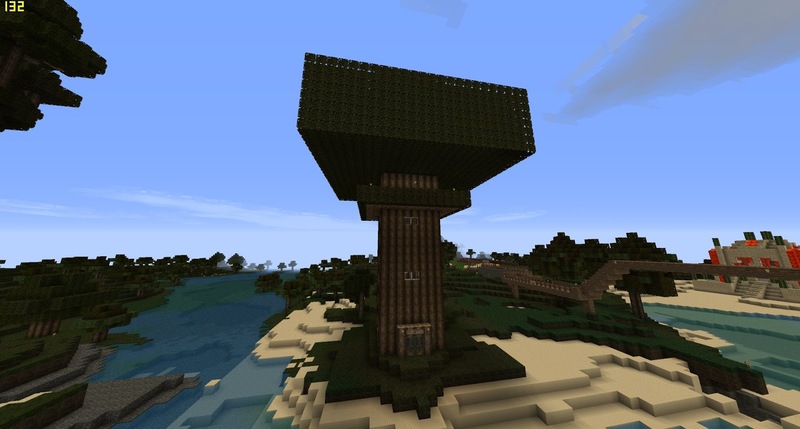 This was intended as a giant version of a minecraft tree that was also a house, this was also on Ozgamerparty but on my friend Rennz’s town. Unlike the other rebuilds in this post this one is was rebuilt a bit differently as in creative mode I could build to my full potential without the time sink and constraints of survival mode. 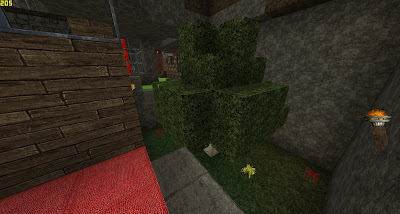 The first thing you might notice is that the new tree is wider and taller, the rooms are bigger so I could fit more in and I also got rid of the “furnace basement” underneath as I could fit them in the entry floor. 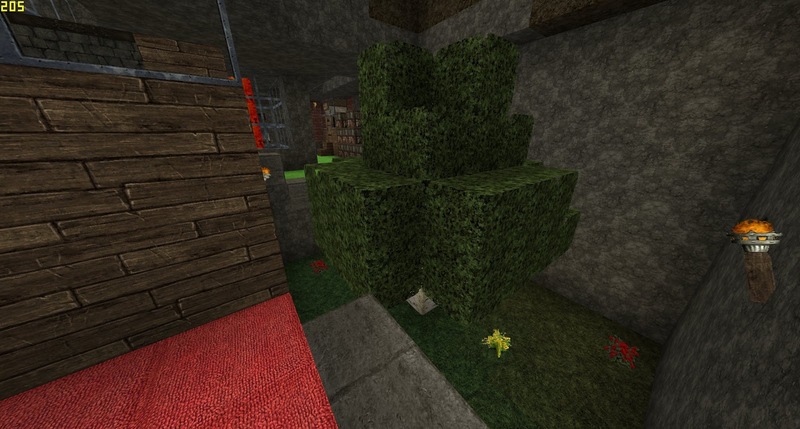 I also had room for another floor that was inside the foliage so I made that part the pool room. 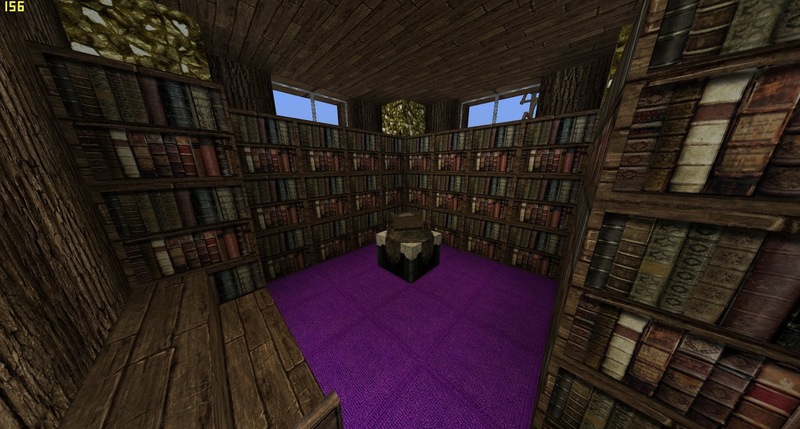 Basically everything else is the same except more refined and rooms have more things in them, I also cut some windows for the library room. I reckon it turns out a lot better, obviously was much more helpful using creative mode. You can't see it here but I put a hatch at the top then carves a stairway through the leaves to get on top of the tree. 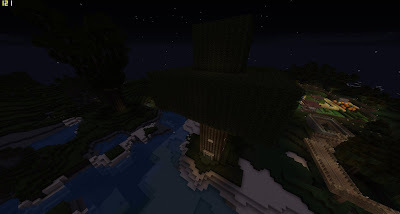 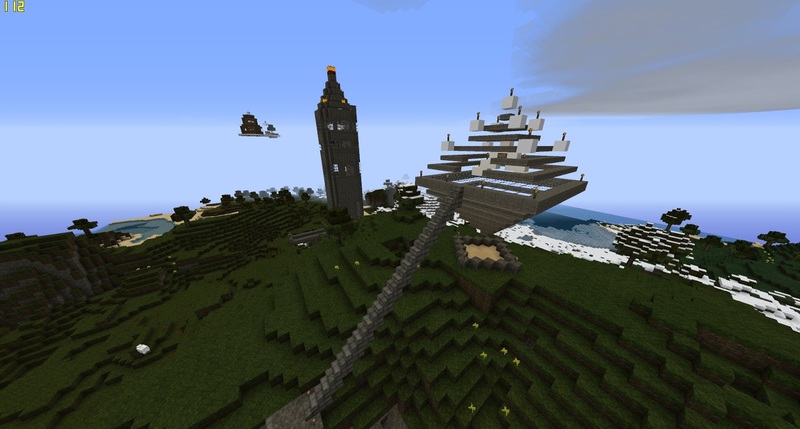 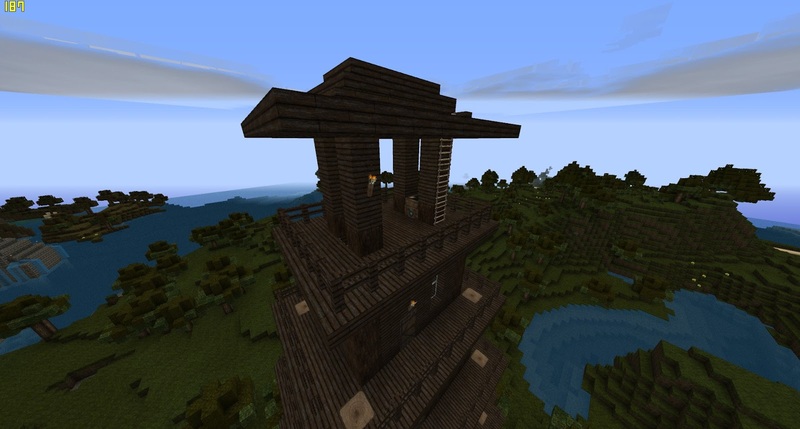 This was made to get away from everyone and everything for a while and live in the sky in peace, I should have known I wouldn’t be able to for long before someone made a tower and a bridge up to me, my one in my new world is much more peaceful though I could actually build it much, much higher now. The inside of the house in the rebuild was much better as I used this lovely light blue wool to fit the ‘sky’ theme, it was also more spacious and better designed overall. 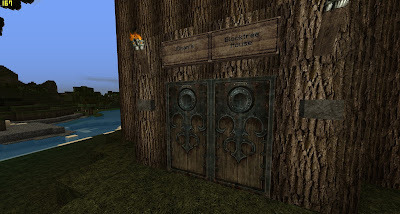 Once I decided to come down and join the others on Zocrowe Island I did make a “House of Peace” detailed in the same post which was basically the same but was on the ground obviously and used leaves as decoration. 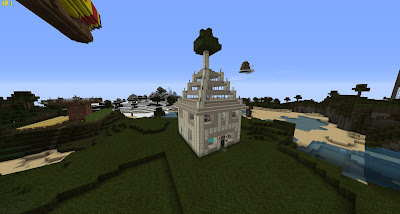 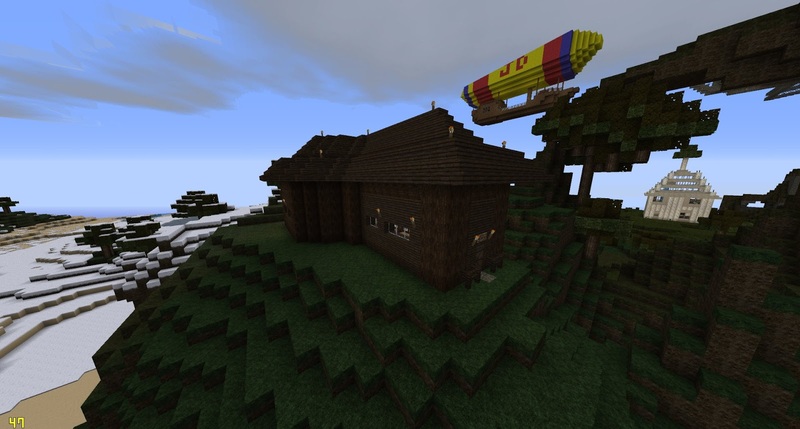 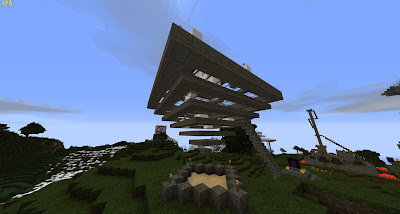 I decided not to remake this one though as it wasn’t anything special albeit more spacious then the cloud house. 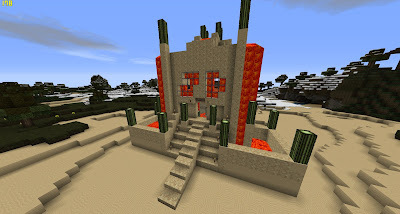 This was an odd creation that I thought up with the intention getting a certain female Minecraft player inside, looking back now it’s as dangerous and scary as it sounds. 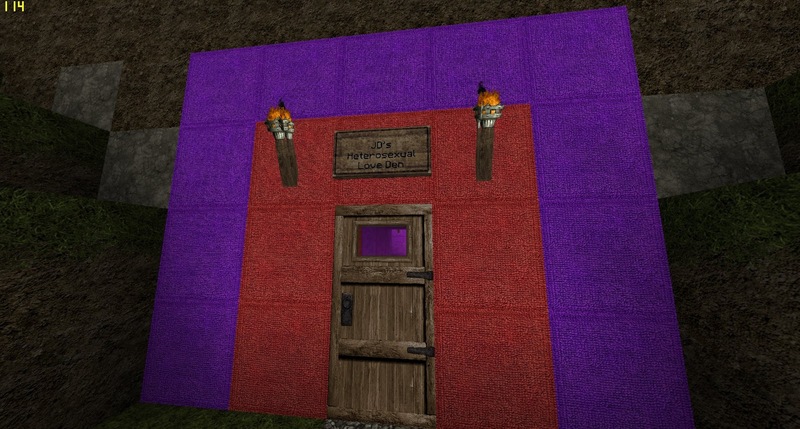 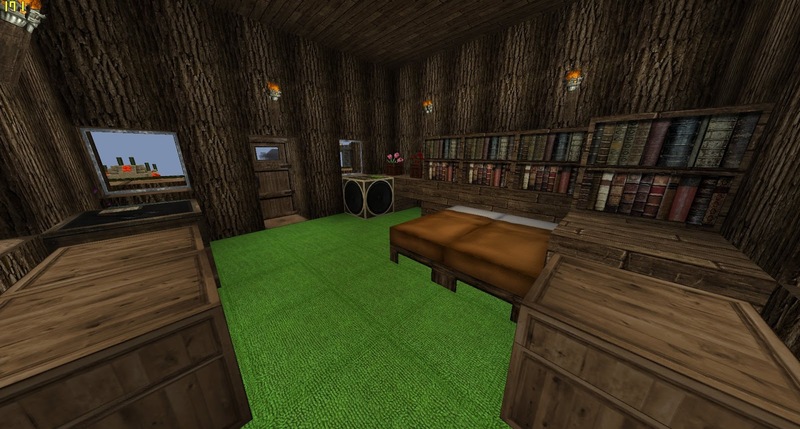 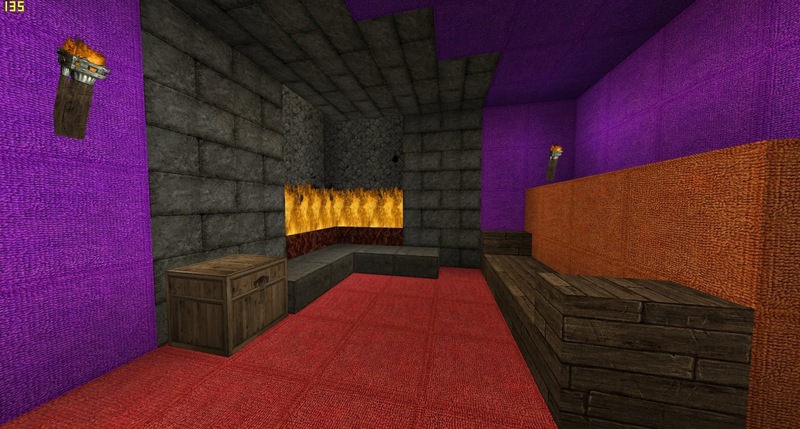 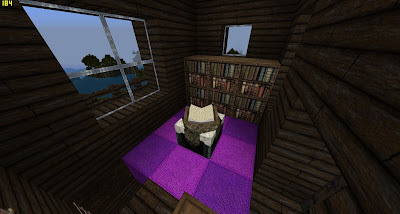 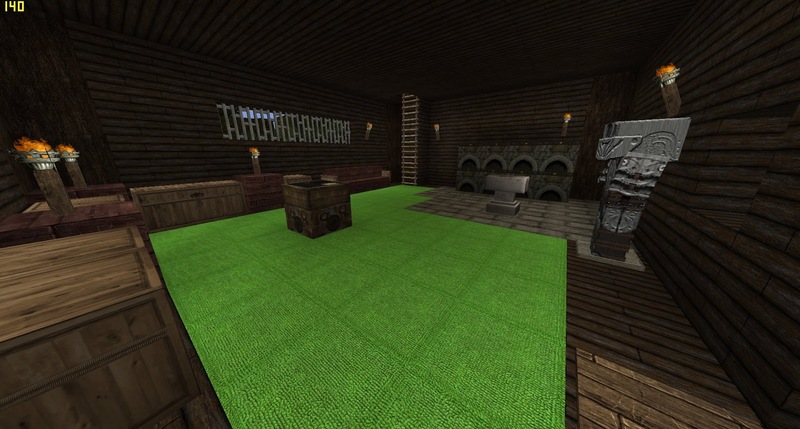 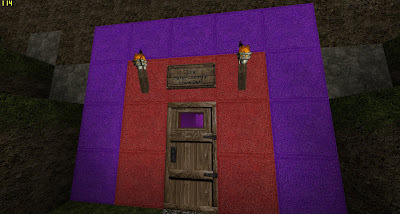 The remake was much better than the original as I had an unlimited supply of coloured wool so I was able to make the place look much more colourful (including the entrance) The bedroom and fireplace ended up looking much better too and less claustrophobic. 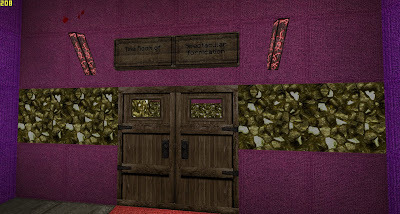 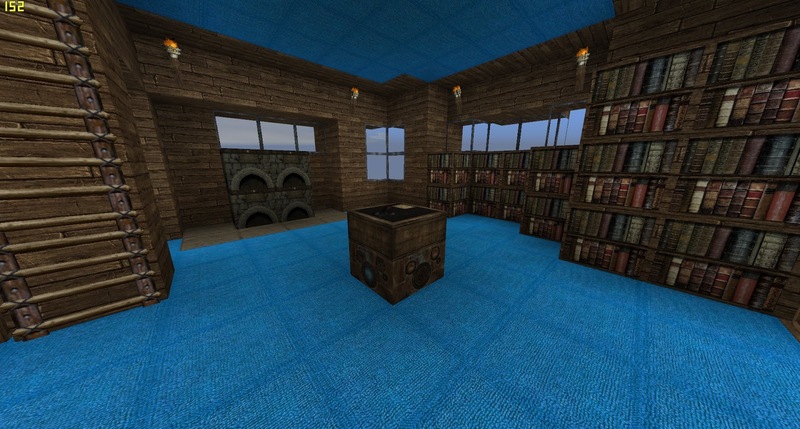 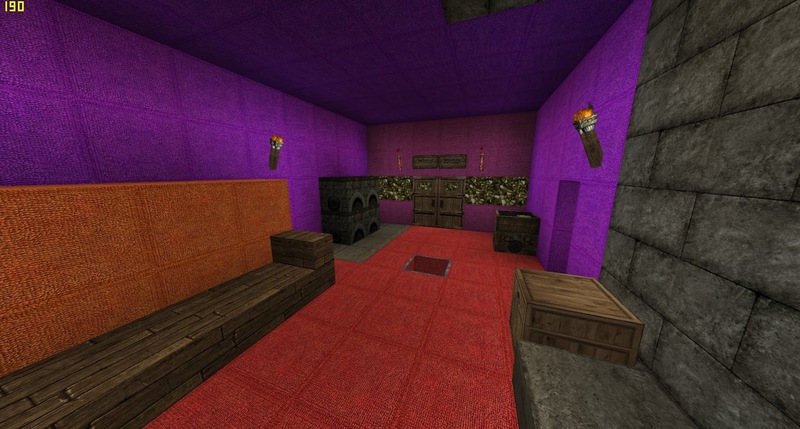 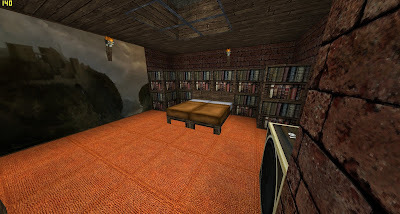 Possibly could have redone this room with better decor, maybe at least done a multicolour roof. 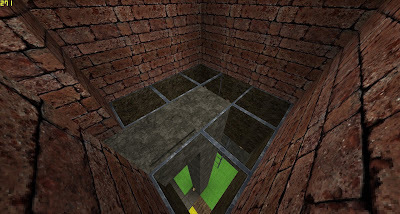 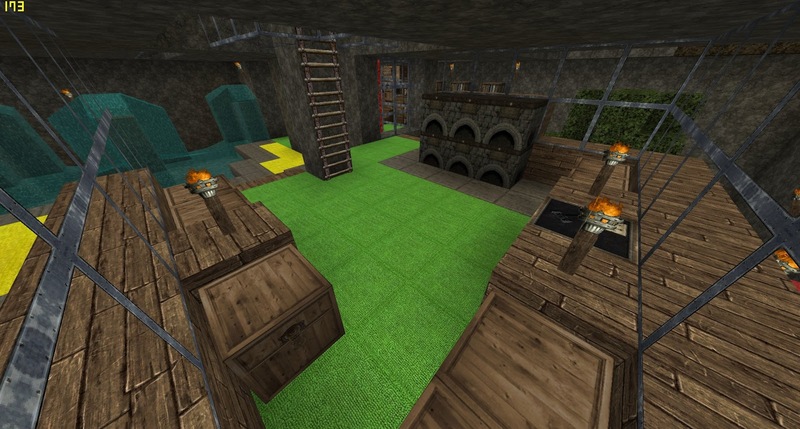 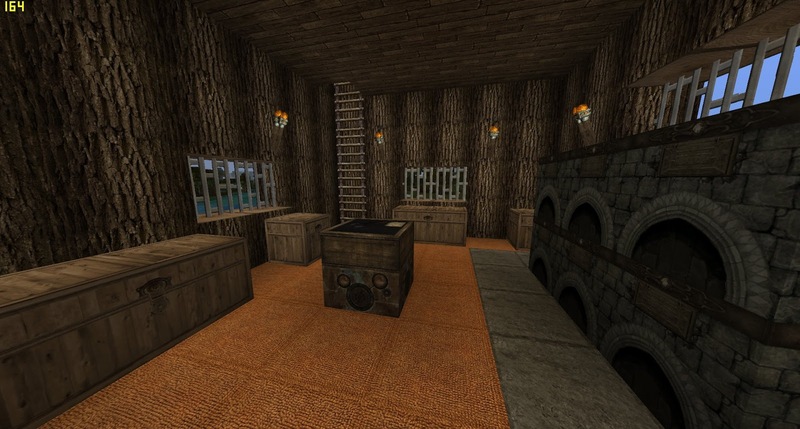 As you may have guessed this was the original inspiration for the Underground house version 2, the Overfarm though technically it wasn’t the first. It was indeed the first I made with skylights but wasn’t my first little-house-leading-to-a-big-house-underground creation, that was actually my “Mini –house” made way back in the 2010 Tribalfield days. Not really any noticeable differences with this one it was pretty much the same apart from me being able to put down grass in the greenhouse instead of just dirt. 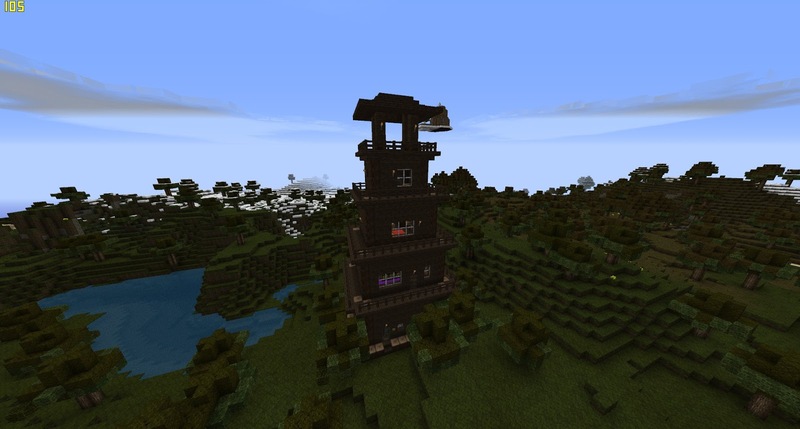 I need to explain the reason behind this one. 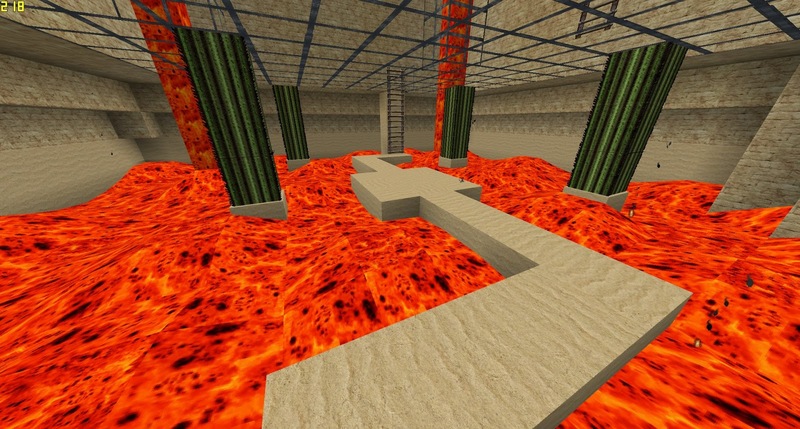 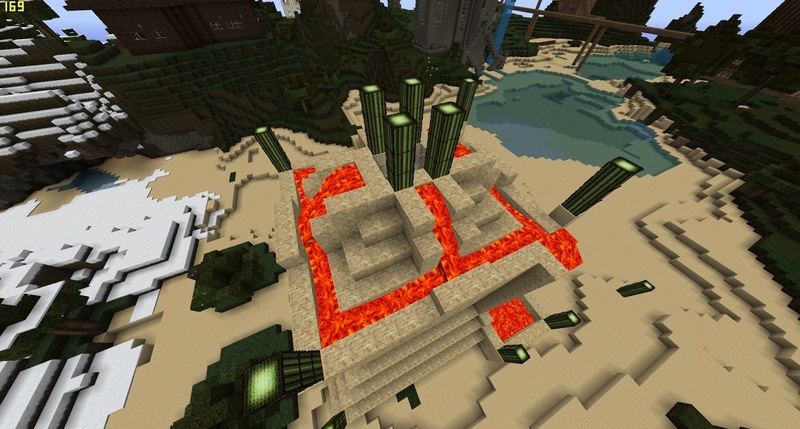 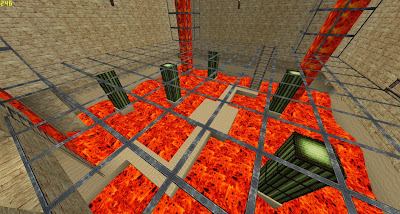 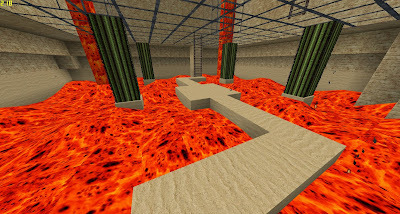 In the Tribalfield server we had different Tribes, and depending on which Tribe you were in you had different abilities for example, Spirit Tribes took no falling damage, Fire Tribes were resistant to fire and lava (that would be useful) and Water Tribes did not run out of breath underwater. 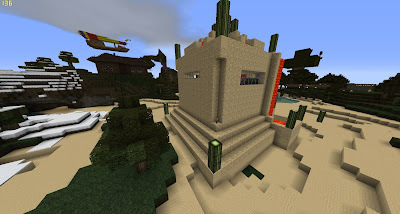 Ours was an “Air” tribe and our power was not being crushed by blocks like gravel and sand which I’ll admit was kind of crappy but sometimes useful none the less. 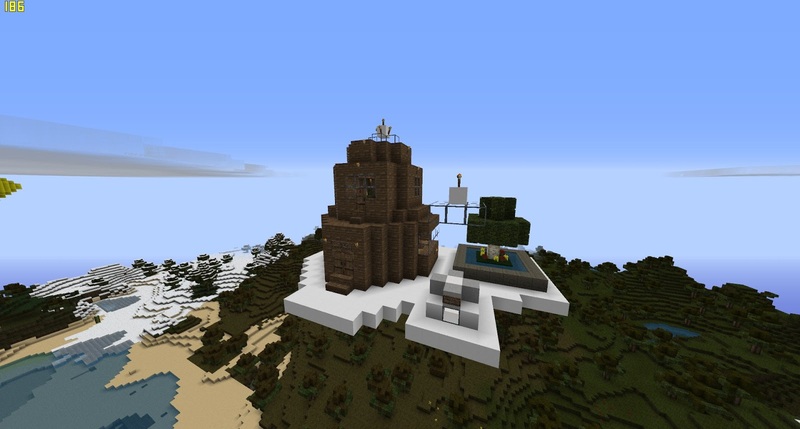 So I made this “Temple” “For the Glory of AIR” as written on the wool monument inside that was supposed to resemble clouds. 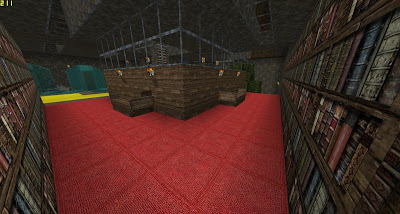 Some differences between the two were that the staircase up was steeper and made of stone brick stairs not stone slabs as the slabs were in the way of another of my creations and also I’ve now noticed that the remake is slightly smaller, oh well it’s only the equivalent of two blocks shorter so it’s fine. 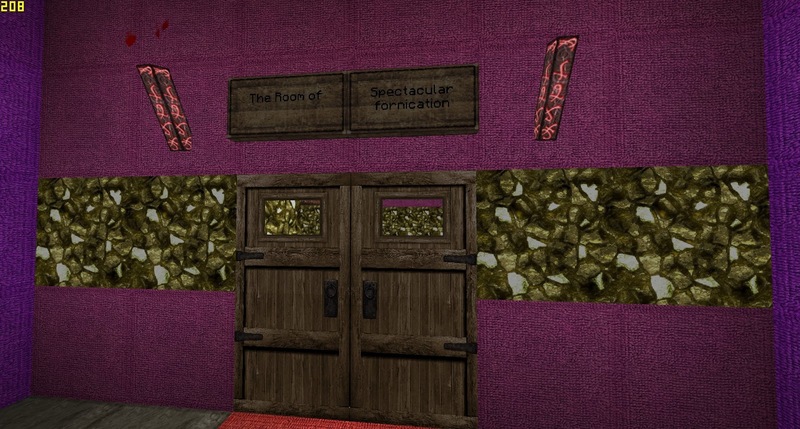 Here is a video showcasing the creations mentioned in this post as well as another the Rubix house that was showcased in a different post. 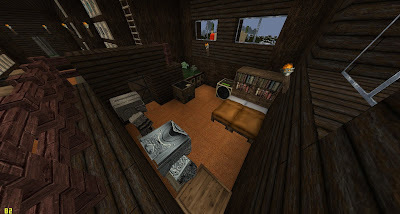 From a recommendation from a friend this was the first video I have added commentary to and I do apologize for the swearing and general unprofessionalism though this was my first time. 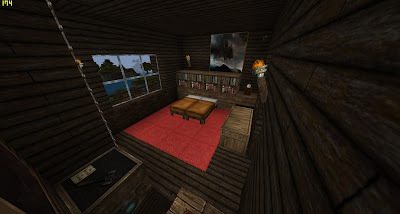 I have no idea whether this will turn into a proper youtube channel but at the moment I just want to concentrate on writing not video recording and editing. 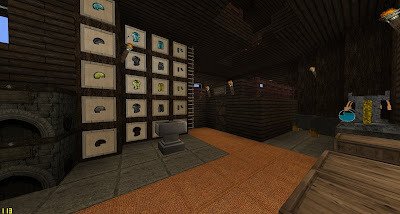 So that’s that, many creations in my museum world, I must remind myself to use more new items like using Prismarine to make some underwater houses and Banners which give a nice flair to houses but I overlook most of the time as their not integral to the outside structure like windows and torches.